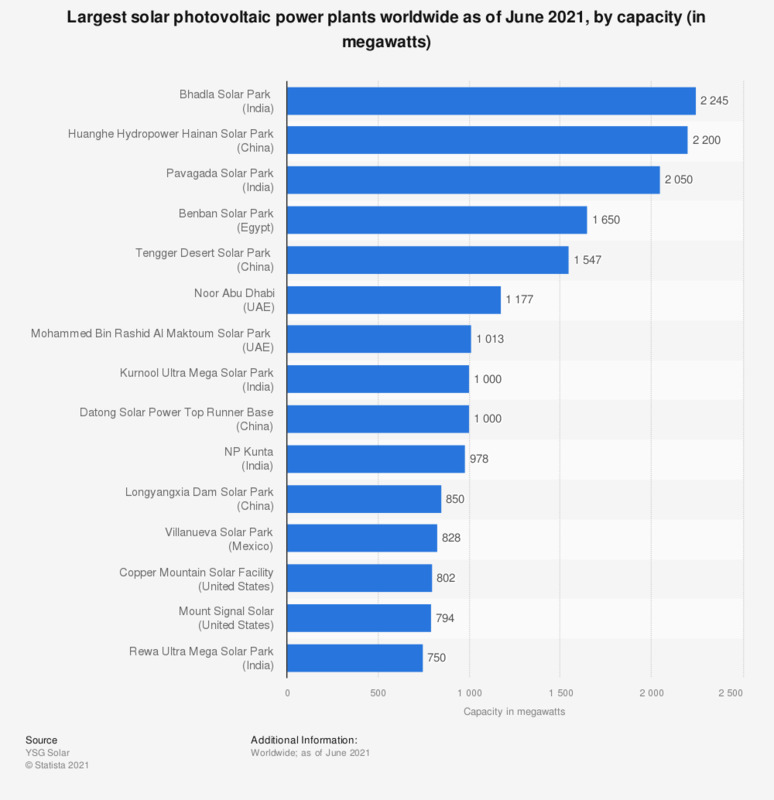 This statistic represents the world's largest solar photovoltaic (PV) power plants that were completed as of August 2018, by capacity. The Tengger Solar Park in China covers 1,200 kilometers of the Tengger desert and has an output of 1,547 megawatts of power. * Bhadla Industrial Solar Park, India will be able to produce 2,255 megawatts when the project is completed. It is expected to be operational by December 2019. Pavagada Solar Park, India is planned to have a capacity of 2,000 megawatts by the end of 2018. Enel Villanueva PV Plant, Mexico is expected to be able to produce more than 1,700 gigawatt hours per year once fully operational, expected completion is in the second half of 2018.